Media Release Peace For Children - Integration Through Media ....! 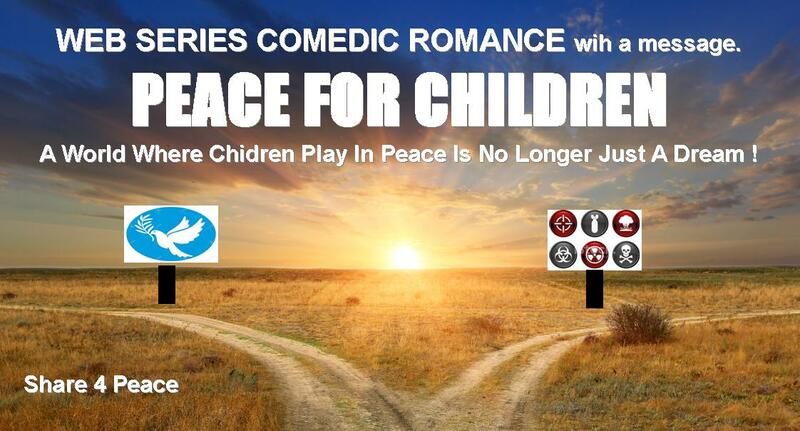 (Los Angeles, September 20, 2018) The popularity of the narrative style play reading on June 30th and August 18 this year at LA’s renown Electric Lodge Theatre has resulted in the expansion of PEACE FOR CHILDREN to a broader audience via a DAILY WEB SERIES on Youtube. The series consists of 26 SHORT audio episodes and 3 XTRA videos, a play introduction, cast introduction and a shocking finale video. The main story is a modern day mature comedic romance between a pro-war singer songwriter and a peace activist. A revenge subplot on a sleazy band manager adds to the laughter. The ending turns dramatic with the serious message FOR THE FIRST TIME IN OUR HISTORY, A WORLD IN WHICH OUR CHILDREN CAN PLAY IN PEACE IS NOT JUST A DREAM, BUT OUR SALVATION. The author was inspired by Dylan, Eisenhower and Orson Wells.